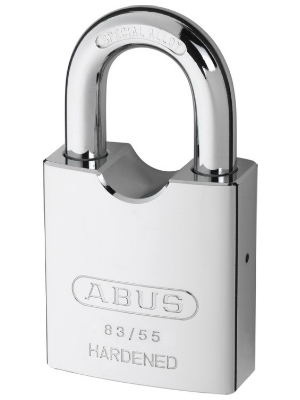 Made with specialised alloys and hardened steel bodies, the ABUS Rock range are extremely strong padlocks suitable for use in both domestic and commercial environments. The 83CS/55 variant of the ABUS rock range is equipped with a shackle guard to protect against attacks with tools. *The 83/80 model is designed for ABUS Pfaffenhain systems. If you require any other information about the ABUS Rock padlock range that we supply, or would like to discuss your requirements, give one of our expert team a call today on 0117 967 4994.